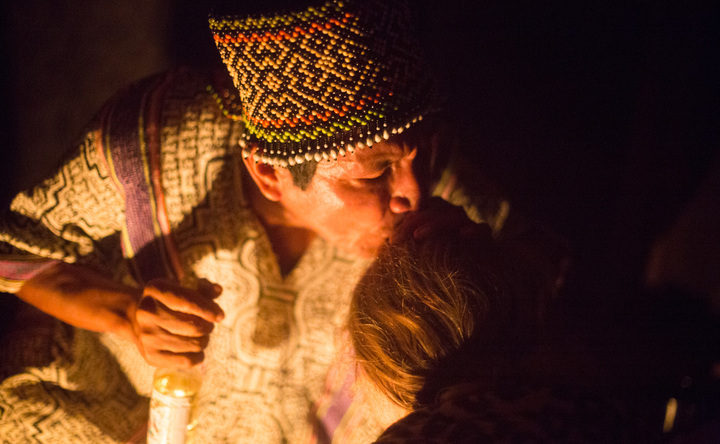 This is a special gathering, where spirits of grey wolf of the north and rainbow serpent of the Amazon meet. In an off grid, alternative community located in Peruvian rainforest you will encounter a collective of healers and experts in their fields who join forces during event dedicated to opening your ears to the sounds of spirit world, opening to energy that flows and manifests itself in sacred song that is born in the moment, not rehearsed and performed, an ritual of opening of your voice. 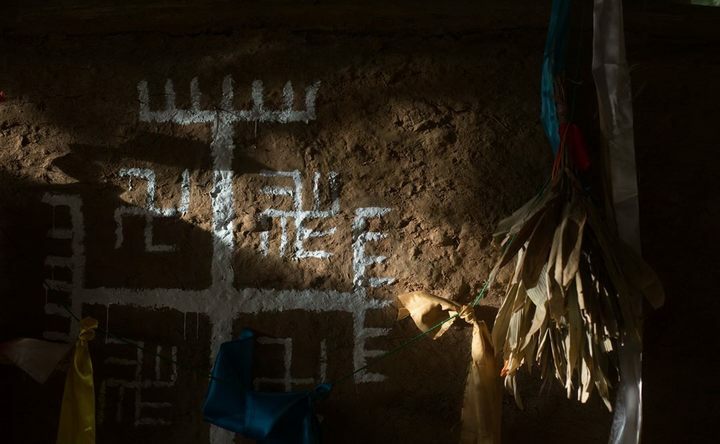 The south is represented by a crew experienced of Shipibo shamans, amazing voices, both masculine and feminine, trained during years of apprenticeships and master plant dietas, when plants themselves teach their songs to the initate, and through the songs, power of manipulating the reality. 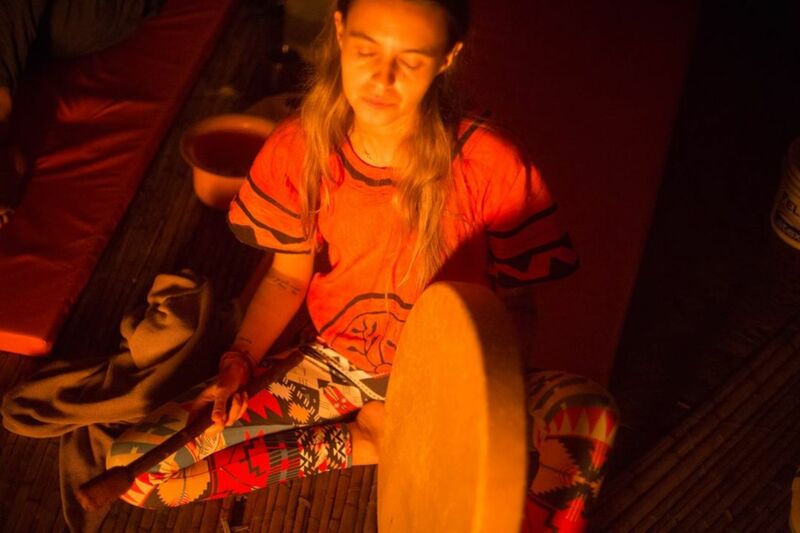 Each of them with their own skills and tricks, their own style and melodies you will be able to connect and resonate with, learning as it should be, by practicing, in the midst of ayahuasca ceremony. 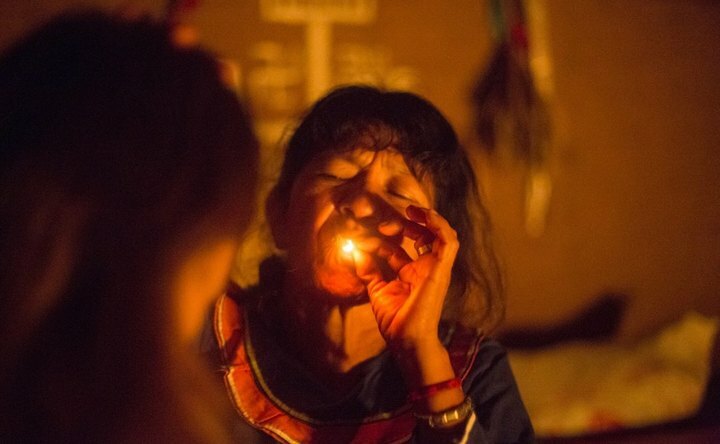 The north is represented by founder of the camp, Tata Mundo, working in his own style of fusion of traditions and inspirations encountered during many years of research and journeys within traditional spiritual cultures, bringing ancient roots and instinctive primordial shamanism rediscovered and reinterpreted through plant practice to the homeland of Amazonian curanderismo. 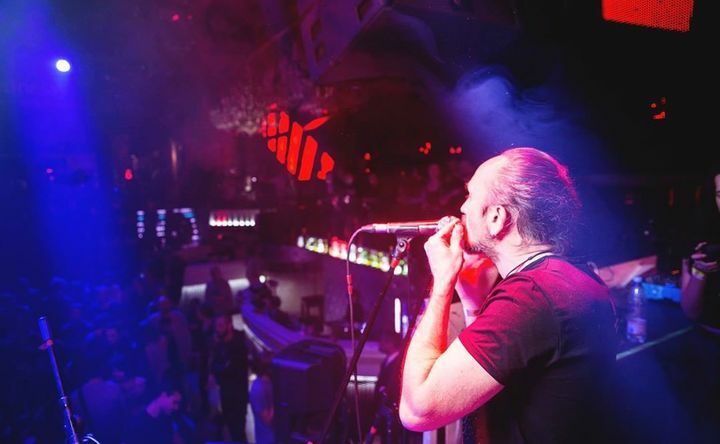 Coming for this event especially from Russia is a special teacher, Evgeny Krasnov ( Быркампот Быркампашевич Бздынькс ), musician with 30 years of experience, master of throat and overtone singing, trained in Tuva with masters such as Radik Tülüsh from Huun-Huur-Tu, for many years running workshops and courses teaching those techniques. 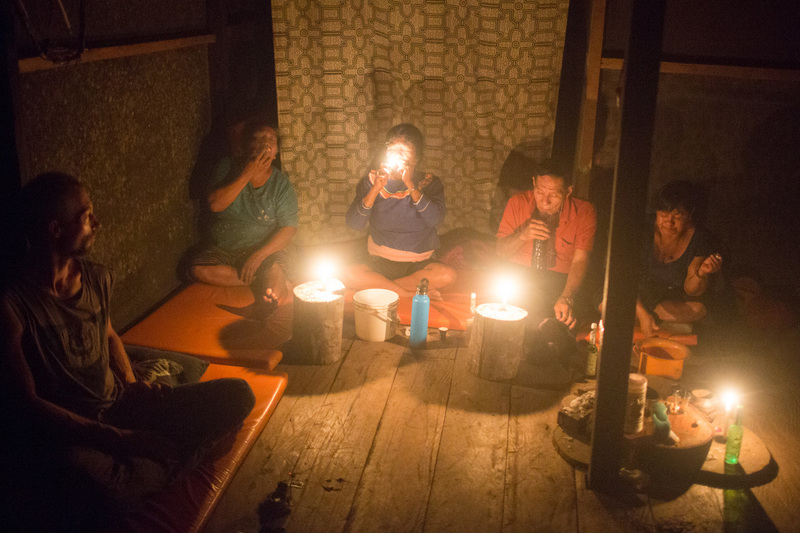 10 days long stay is possibly extended, if you feel the call to stay longer in the Amazon, whether for further learning or healing through the main way of apprenticeship here, that is plant dietas, or just to feel how is it to live here, as volunteer and member of community. 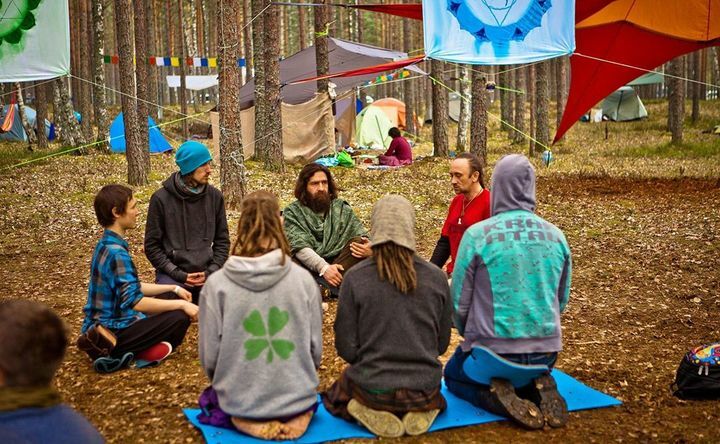 The retreat itself will be packed to the brim with activities and practices, everyday classes, camp work for those willing to be more active or just recovering in hammock from frequent and powerful ceremonies. We are including 4 such sessions, it is up to you how many you join. 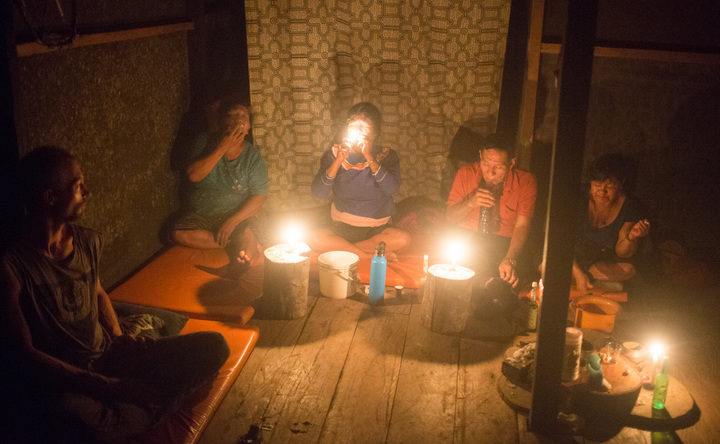 Even if you drank already somewhere else, most of our guests confirm that what is happening here can not be compared in its intensity and transformational power with what they experienced before. 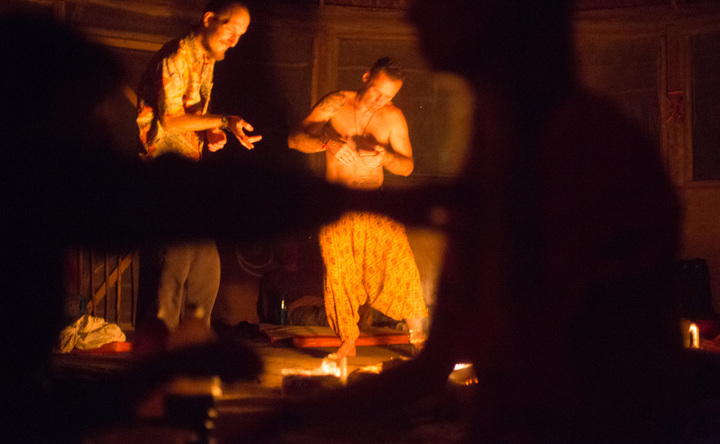 There are no guitar rehearsed songs here, only powerful, primordial shamanic sounds, all arising from the moment, interconnected, penetrating from the world of spirit realm to your soul. We believe you don't come to beat around the bush, so get ready for deep journeys and resurrections. I - part of the universe. 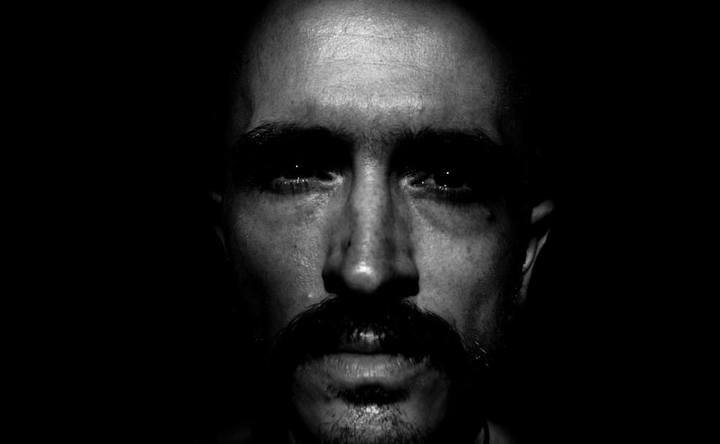 now my name - Evgeny Krasnov. Musician with 30 years of experience. "Silent eXperiment", "Maiia Project", "VargaRa", "ОкоБогаРа". In 2009 worked with " Moscow - Chelyabinsk" theatre group. 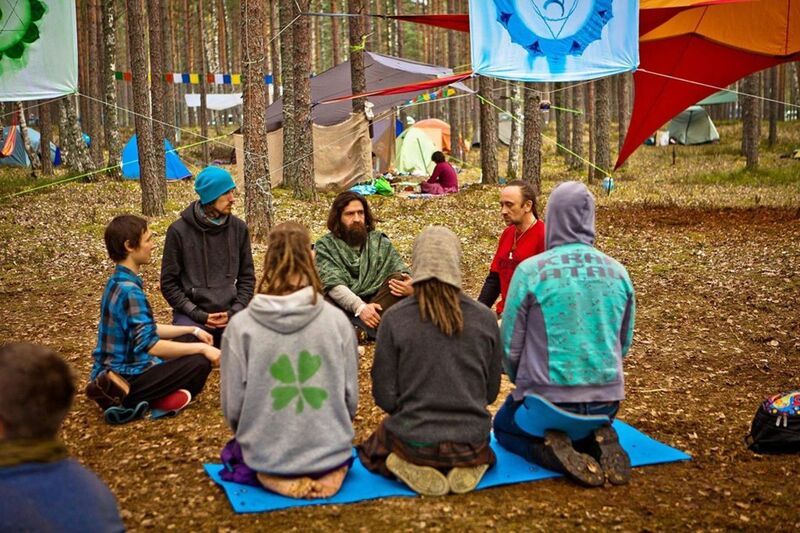 Regularly cooperating with famous shaman from Tuva "николай ооржак". 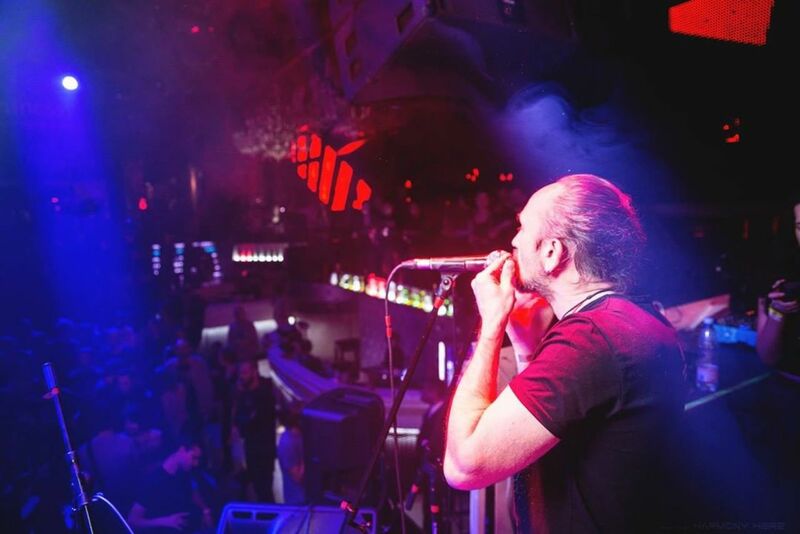 Mastered by art of throat singing in Tuvan style with Radik Tülüsh from "Huun-Huur-Tu" band. 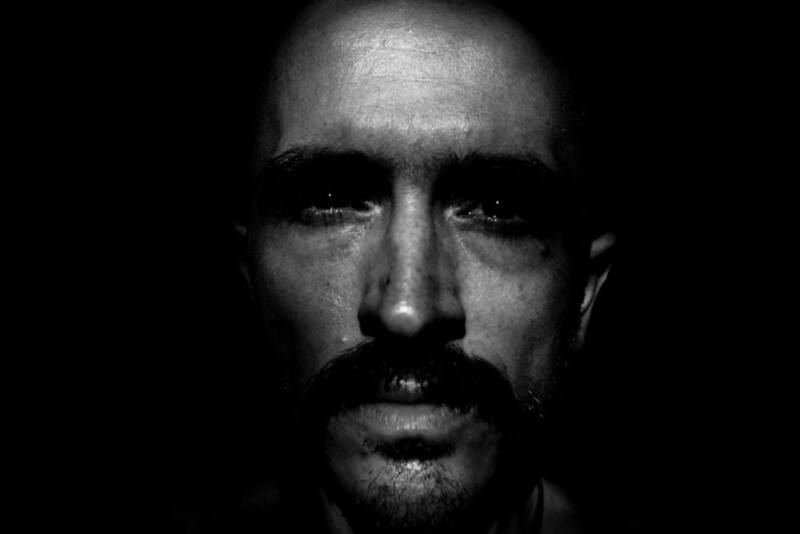 Took part in festivals: Systo, Trimurti, 8-е чудо, Зов 13 шаманов, Сказка, Imaginarium, Forest Quest, Город Золотой, Пустые Холмы, Cosmofest, Соль, Тортуга (Семинар альтернативного туризма), Four Э (Kazakhstan), Inaya (Bashkir), Solaris, Дикая Мята and so on. 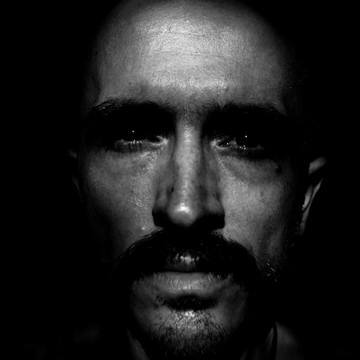 I - Musician, sound therapist and sound researcher. I have been playing guitar and bass guitar for a long time but always had a dream to sing. Even though many advised not to do so, 'that is not for you' , I started to do it anyway, to master overtone and throat singing and I believe it happened for a reason. After a while I had fallen completely in love, soon I had put my guitar far away and for many following years since my working instrument has been voice itself. That process has changed my life entirely and I got involved in sound in all of its aspects, influence of sound on health and everyday life, influence of sound on human relationships. That theme is very wide and I keep continuing my research even after having already collected great amount of material. Sound and voice especially are so deep, sacred and complex but at same time so simple and difficult phenomenon that it draws everyone to dive inside. To use voice is to enchant, ( the very name to make magic with chants ). The learning is continuos. I gathered inspiration and techniques from all available sources : books, movies, internet, living persons: musicians, singers, healers, sound therapists, energy therapists and so on. A wise man once said : "you want to learn yourself, go teach others". Some time ago the events unfolded in a way that created opportunity and I started teaching, sharing collected experience and knowledge. Till that happened I had been singing for years with various musical collectives, travelling in Russia and abroad. The teaching process immediately turned me on and brought me to new horizons of sound research in general, but I am especially focused on singing. People around usually say that I have talent and good natural ability to explain and forward knowledge. What is my purpose ? First thought that came to my head is to make the world better place. People say the first is the best, and usually that is the case. Signing and specific unusual technics that I am teaching are very powerful transformation tools. 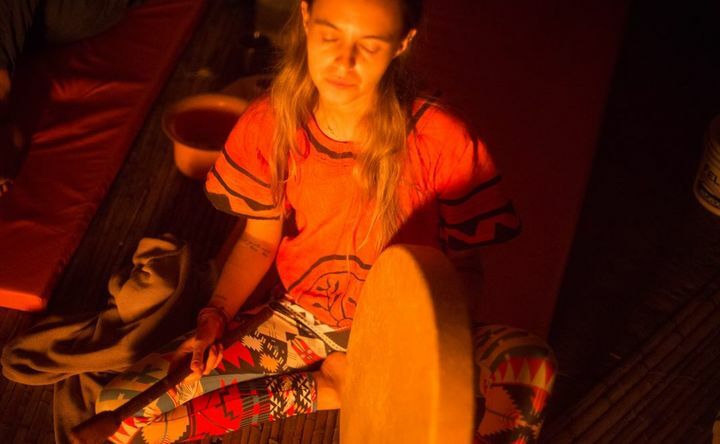 It is also simply a pleasant and joyful process, learning to tune to ones breath, to control own diaphraghm, and from that process also health can flourish. I am teaching to relax, to enter deep meditative states by singing. Its proven that by singing the resonance of brain gets lower and entering into creative frequency, after 15 minutes of singing the brain produces endorphins which is beneficial for physical and emotional well being. I believe in simplicity, but also work with variety of tools and instruments such as jew's-harps, Tibetan bowls, toning, Nada bells, crystal bowls etc. There are plans how to work with couples, with pregnant women and many more. Let's change the world together, note by note, sound by sound. Online consultations before the trip. Pick up in Iquitos and all transfers. Accomodation in jungle huts, protected from mosquitos and other insects. 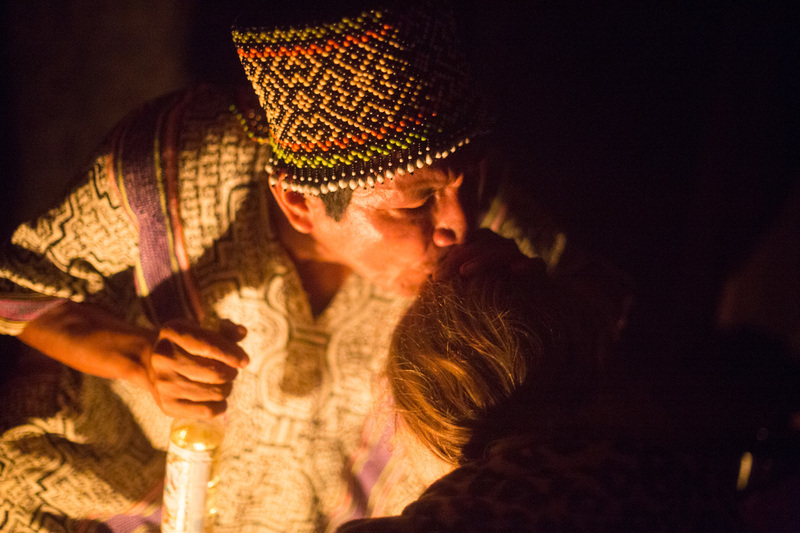 All ceremonies run by a large shamanic crew. All private treatments, when needed. Individual consultations, with voice teachers and with healers. 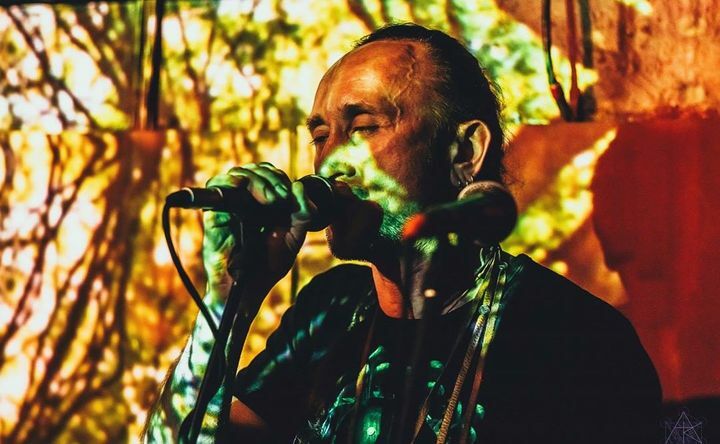 Full course of overtone and throat singing guided by maestro with 30 years of experience. 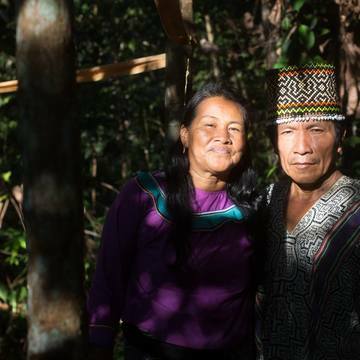 We realize our dream, living and working in the deep Amazon forest, near plants, close to nature, close to the local healers' community. We deeply believe in the power of medicine. We came to this piece of land in 2015, slowly and prudently built houses and infrastructure, so as to least interfere with the forest we found at the beginning. 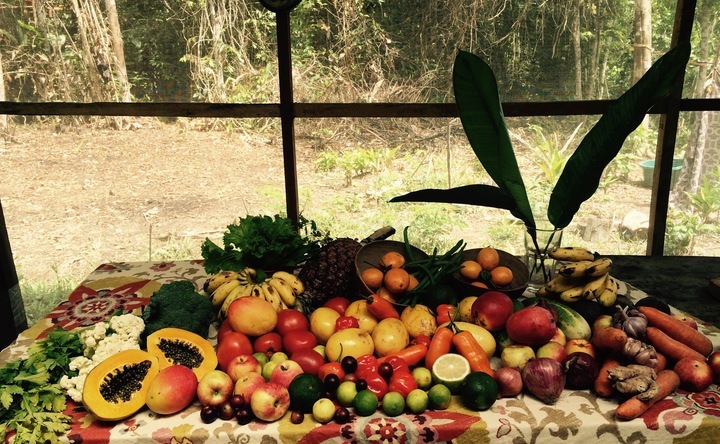 We designed the whole resort with the idea of deep work with plants during diets in the shipibo tradition. All our guests during diets are accommodated in single-person wooden houses equipped with a mattress, hammock and mosquito net. 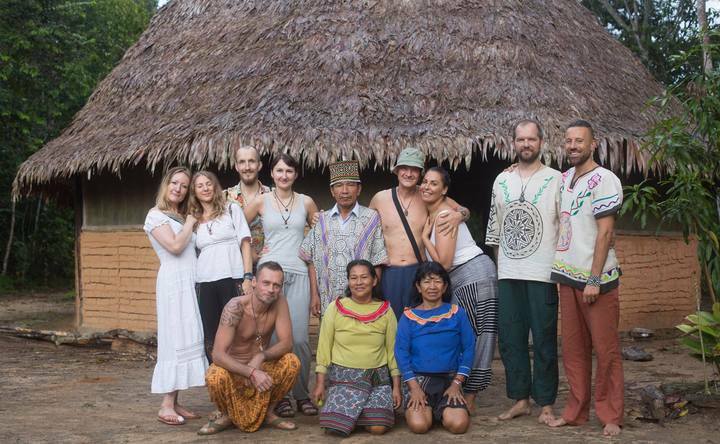 In the resort there are two large communal houses in which live shamans and guides, and there is a shared space where workshops and ceremonies take place, kitchen available for everyone, ecological shower and shared toilet. 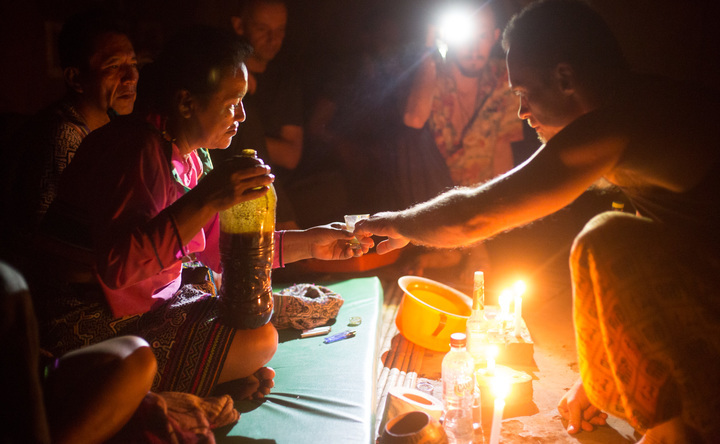 We do not use electric generators for gasoline, we collect electricity from the solar panel. We collect water for washing and bathing from rain, we take drinking water from deep well and filter it with a specialized filter. We try to live as close to nature as possible, without disturbing its rhythm. 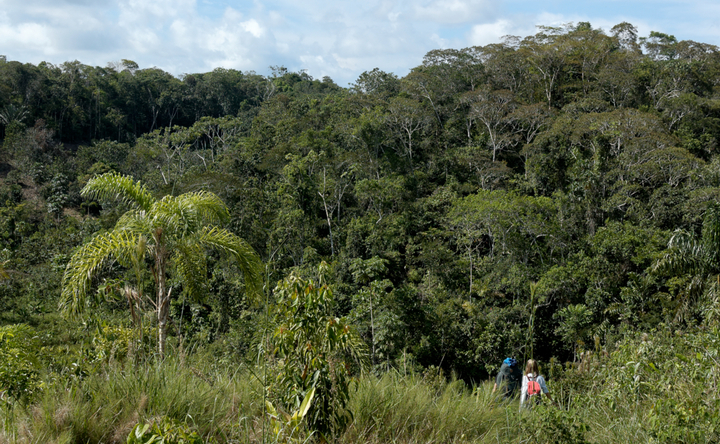 Our center is located in Peru, near Nauta, on a 24 hectare plot of wild Amazonian forest, 2 kilometers away from the Maranon River. It is best to fly to Iquitos in the Loreto region and then continue by car, taxi or public transport on route number 103. From Nauta you can reach the resort on foot in about 40 minutes. Usually, we pick up our clients from the airport or main square in Iquitos and provide a private transfer to our resort. So you do not have to worry about how to reach us, our carers will pick you up from a previously agreed, easy to find place. 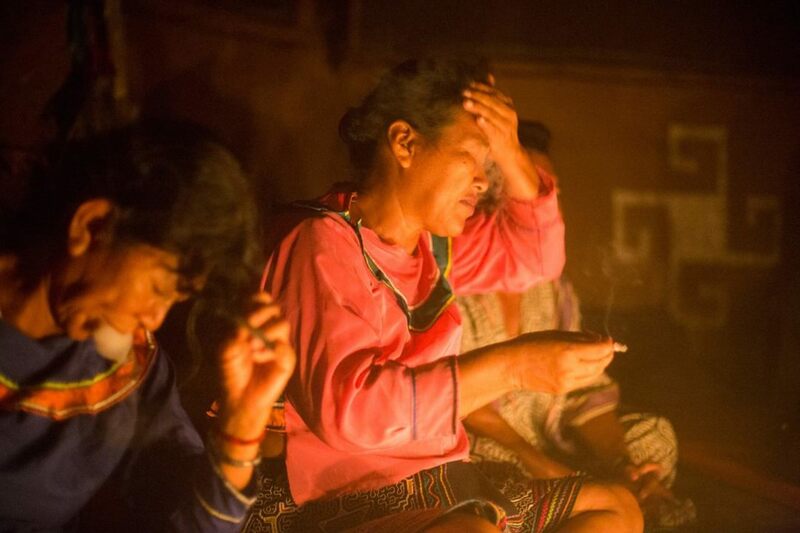 Psychonauta Foundation Our aim is making sacred plants and psychedelic therapy accesible. 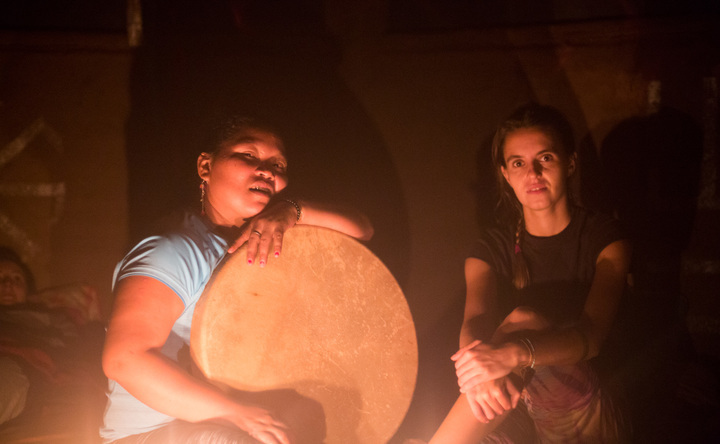 We do it by directing income from retreats to donation based ceremonies, working with underprivileged individuals and groups, supporting indigenous communities and healers and environment. 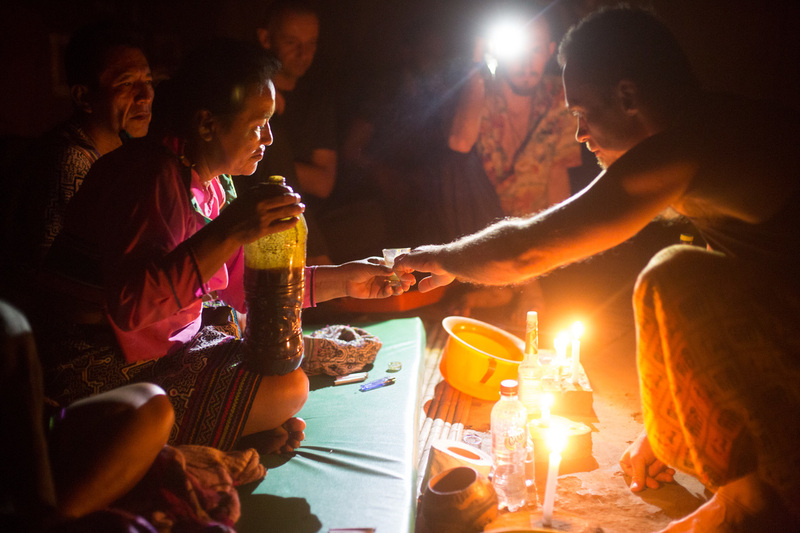 We are also accepting donations and healing sponsorships.Our background is years on spiritual paths, exploring shamanism, trance, transformation of consciousness, now sharing it with you, by storytelling, photography, workshops, training, dietas and expeditions.Jungle settlementLife in the forest community you could be a part of. 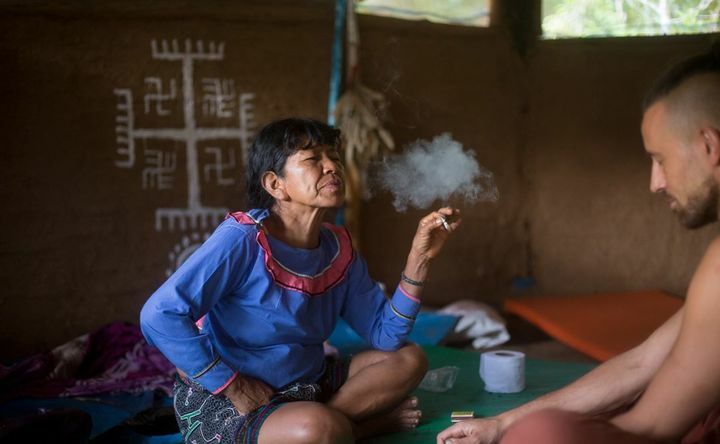 We live off the grid in the jungle in north of Peru, where we work with Shipibo and Matses tribes, holding dietas with master plants of the Amazon, including ayahuasca, also working with other medicines such as kambo. The place is an attempt to build alternative paths of working with medicine. This is not commercial fancy retreat, but rustic place immersed in nature, accesible by walk only, away from civilization and its noise and pollution. 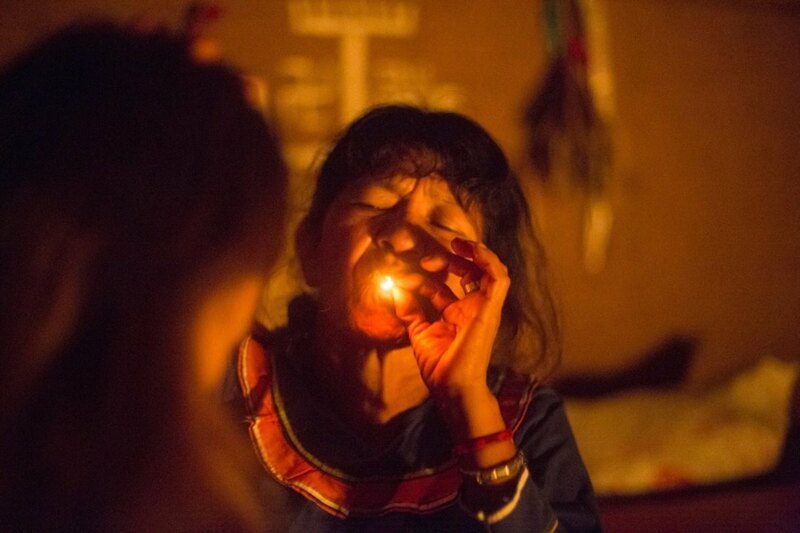 We work as a collective of experienced guides, facilitators, psychologists and shamans. 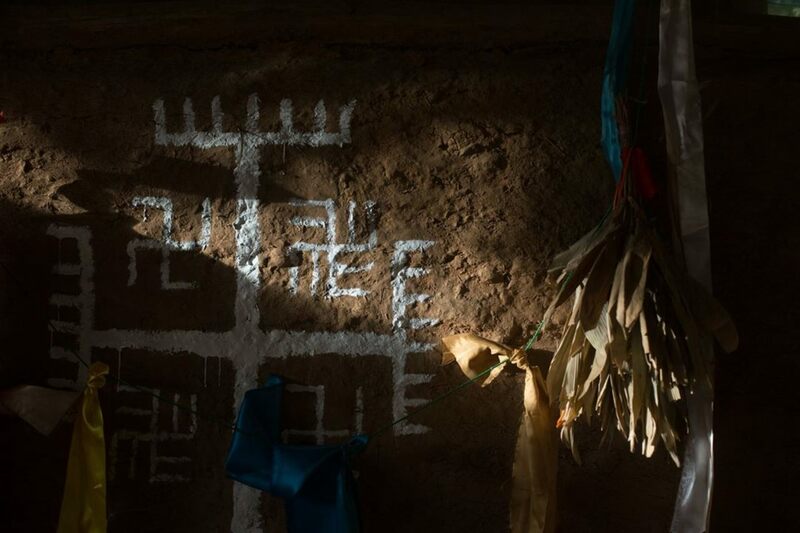 Almost 20 years on a long and twisted path of exploration of magic, primordial beliefs, traditional cultures, shamanism and spirituality of the world. From Rastafarian camps in Jamaica, voodoo in Haiti and Africa, desert traditions of healing with trance, in Maghreb, Ethiopia, Pakistan, shamanism of Mongolia, Africa, Pakistan, mysticism of Indian subcontinent, transformative Sufi rites on three continents, Bwiti initiation in Cameroon, finally culminating in Amazon and Andes, learning its traditional medicine, sampling various sources of knowledge of the world and inspiration, understanding of self and bringing others safely through paths scouted before. 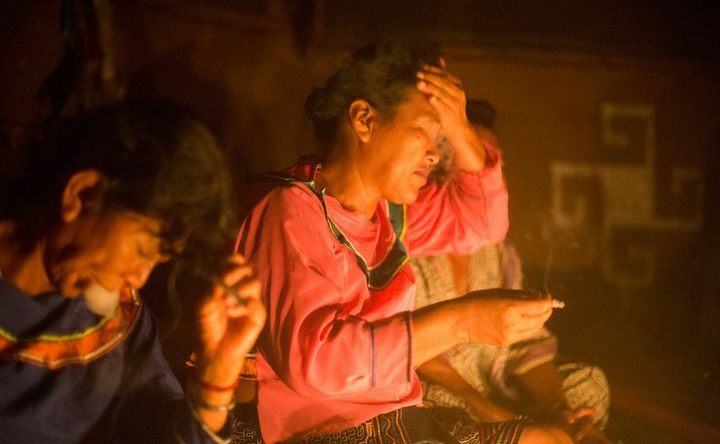 Worked with shamans in Peru, Ecuador and Colombia, gringos, mestizos and tribes : Shipibo, Siona, Cofan, Tsachilas, Kamsa, Achuar, Kichwa, Witoto.Traveler, journalist, guide, practitioner. 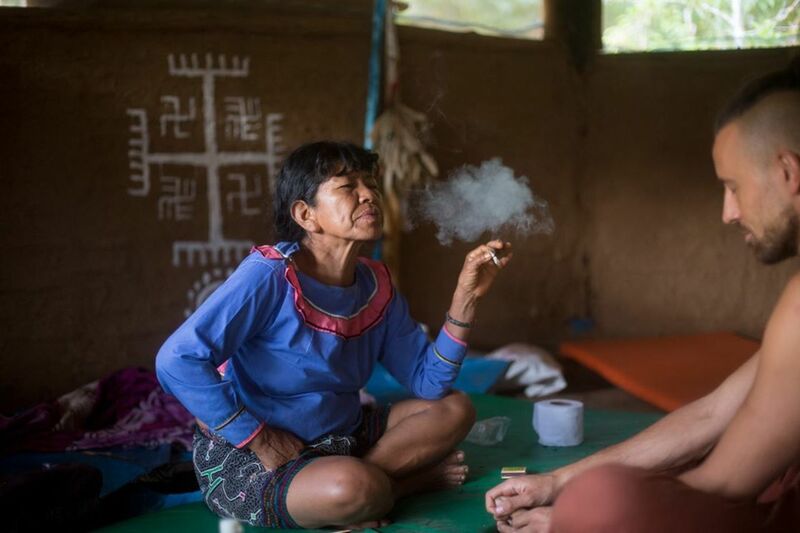 Founder and leader of medicinal camp in the jungle of northern Peru, place where patients from all around the world come seeking solutions to their problems. 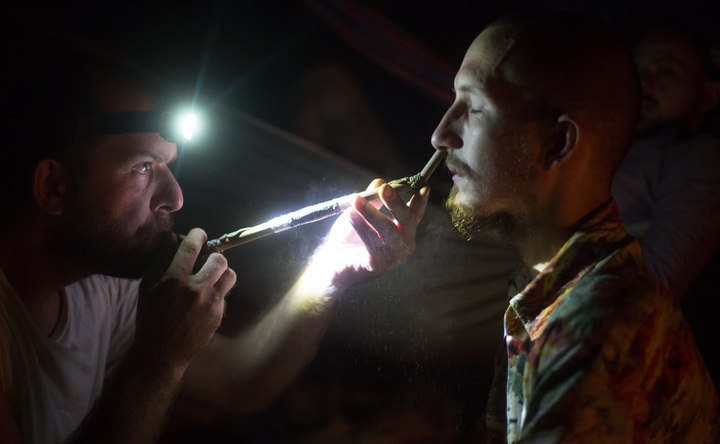 Specializes in entheogenic plants used in the local tradition. 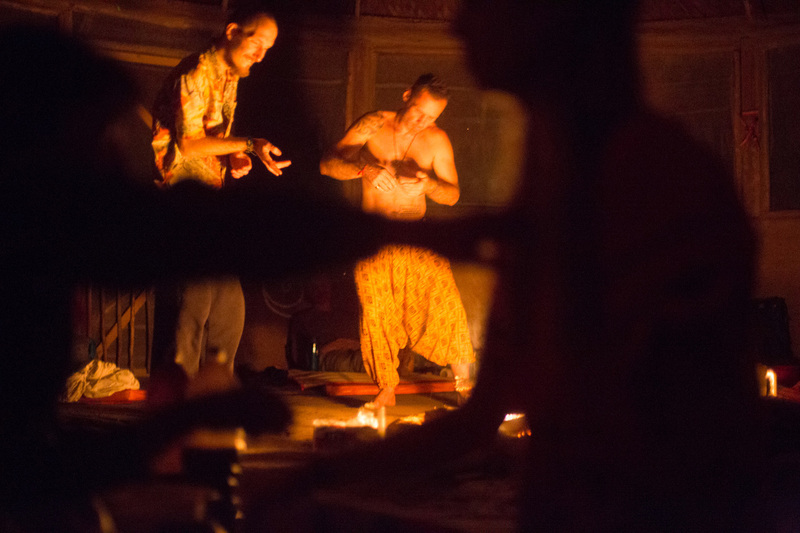 Primal, ancient shamanism reinterpreted through body, breath and own, unique experience for the moment of NOW, improvisation, syncretism, song woven continually, rooted in ancient past and in various cultures with fruits here and for each case individually. Matilda has a lot of experience working with women, and is usually really appreciated by female guests. Our maestra does not wear fancy feather crown, nor white turban. She gives no long motivational speeches, does not boast how big she is and how wrong the others. It is not in the words, but in smile, not in answers from the mind, but in melody and vibration from the heart, in games of little girl, in jokes and joy of being and living we dwell, share, and grow. 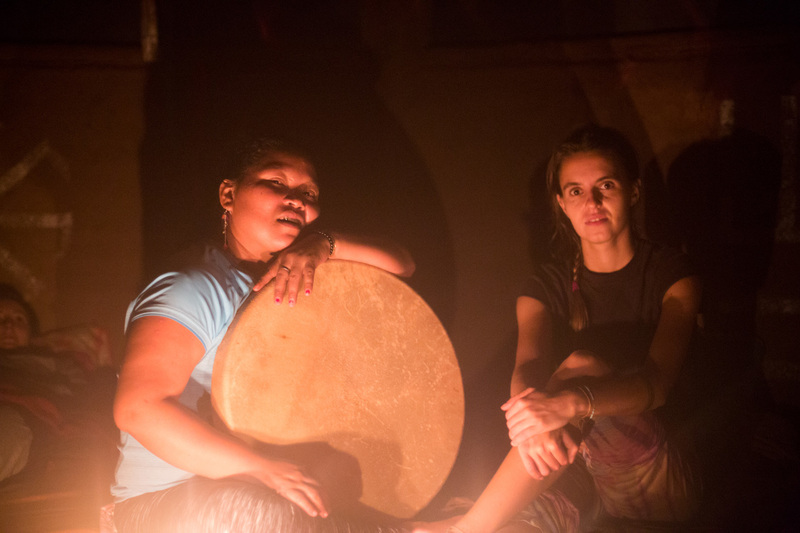 "..her singing, when it finally kicked off, great stuff, very feminine, melodious, harmonious, bringing peace and healing, what we needed after roughness of the jungle base and some spiritually sick people that affected us in last weeks. My partner was delighted, saying Matilda was best so far on this journey, so I guess she can be especially recommended for women, looking for care and softness.."
Beautiful Embodyment of the medicine. 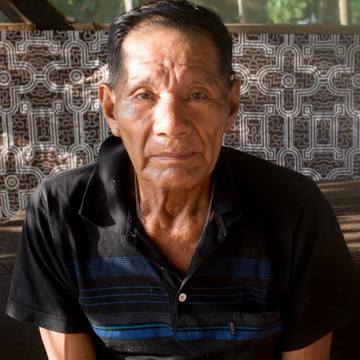 New maestro working with us, Horacio with 50 years of experience as ayahuasquero, comes from remote community on river Pisqui in Ucayali region. 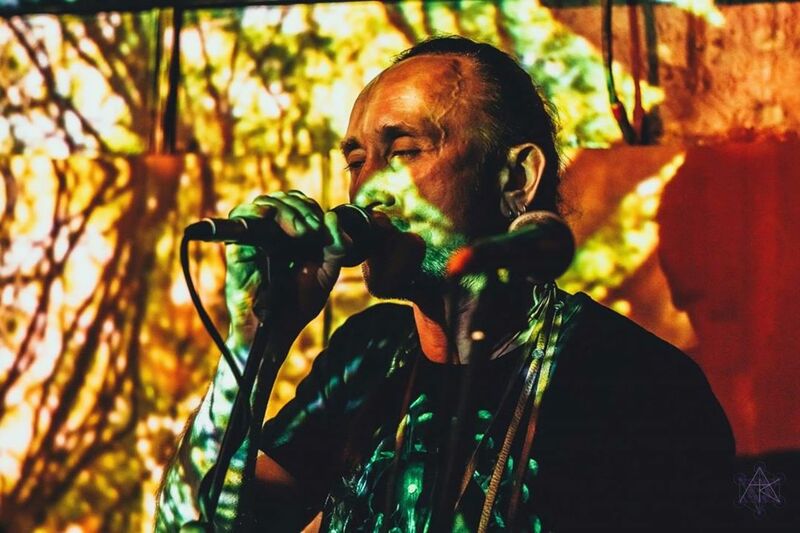 Masculine, but very melodic icaros, that can uplift you but at the same time rock into dreamlike journey, as if you have followed an friendly duende to an adventure, all the way jumping up and swinging his stick, happy.